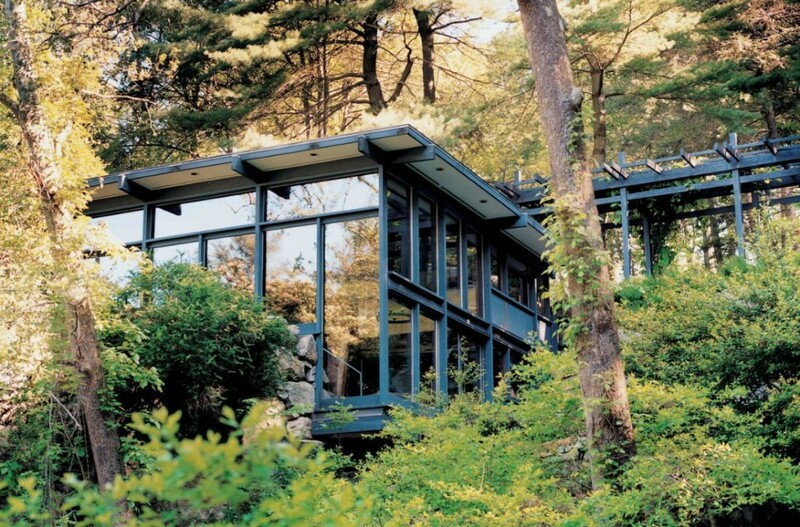 While spring is the main season for house tours, the fall also offers up some great options to satisfy design-loving New Yorkers. From Tribeca lofts to New Jersey Victorians and mid-century modern estates to World’s Fair relics, this October’s tours have a little something for everyone. To help you plan your schedule, we’ve put together all the tours we could find. Docomomo is an international organization dedicated to the mid-century modern movement. Their ninth tour day “invites organizations and people across the country to take stock of significant 20th century built design in their state, city, region or neighborhood and celebrate that work with a tour.” Unfortunately, there’s no city-wide tour scheduled for NYC, but you can take individual tours of Louis Kahn’s Four Freedoms Park on Roosevelt Island or Manitoga, the Garrison, NY house, studio and landscape of pioneer industrial designer Russel Wright. Open House New York (OHNY) Weekend is so much more than a house tour and unlike any event in the city. This annual event, now in its 13th year, provides access to hundreds of sites (“historical to contemporary, residential to industrial”) across the five boroughs, many of which are not normally open to the public. In addition to building tours, the weekend-long event offers walking tours, talks, performances, and other special events. Many sites are open access, meaning anyone can tour them at any time for free, but some high-demand locales require advanced reservations. The full list of participating sites and programs will be available in early October, but some already released highlights include Google’s Chelsea headquarters; Philip Johnson’s World’s Fair relic in Flushing known as the New York State Pavilion; and Staten Island’s National Lighthouse Museum. 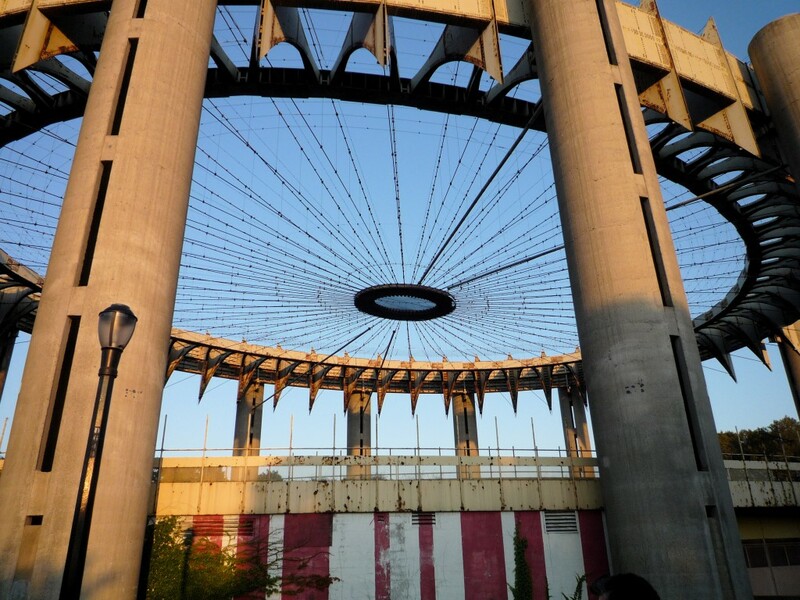 Additionally, there will be more than 50 interior landmarks (LaGuardia’s Marine Air Terminal and the Woolworth Building to name a couple) participating in celebration of the landmark law’s 50th anniversary. For the 16th year, Friends of Duane Park is organizing the Inside Tribeca Loft Tour, which does exactly what it says, lets you inside some of Tribeca’s most coveted loft residences. 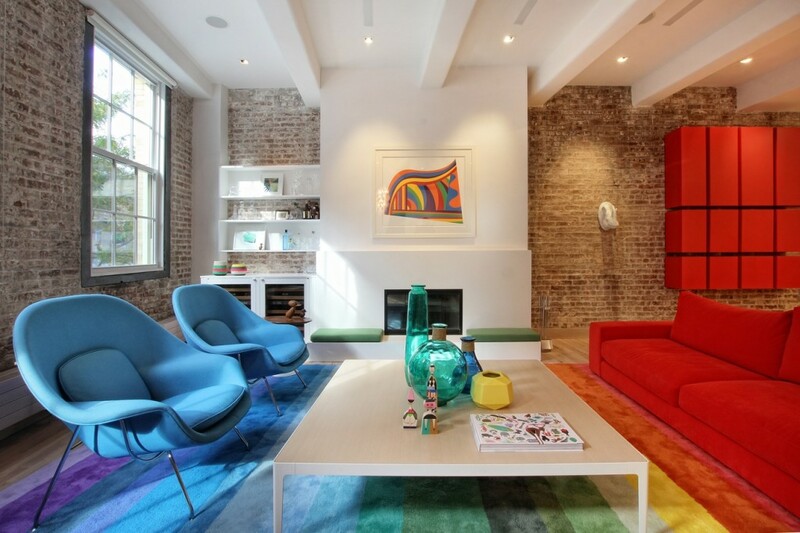 The tour usually features about a dozen private homes (much more than a typical NYC house tour), including artists’ studios, former industrial spaces, uber-modern renovations, and clever family homes. We recommend getting tickets ahead of time ($60 in advance, $65 on tour day), because they’re known to sell out quickly. Proceeds from ticket sales go to the upkeep and improvement of Duane Park; this year, part of the profits will also go to Friends of Bogardus Garden. If the Tribeca tour doesn’t speak to you, head on down to Jersey for this truly exceptional event. 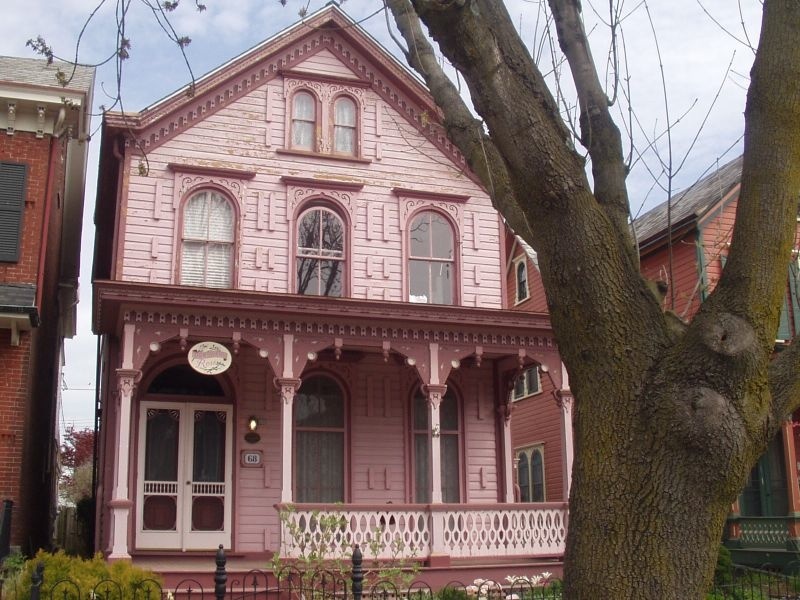 For the 33rd year, the Lambertville Autumn House Tour will open the doors to a slew of Victorian homes and sites related to railroad and manufacturing history. Lambertville is a quaint town on the Delaware River, known as the antique capital of New Jersey. It’s also just a short walk across the water from funky Newhope, Pennsylvania, making this the perfect day trip outing. 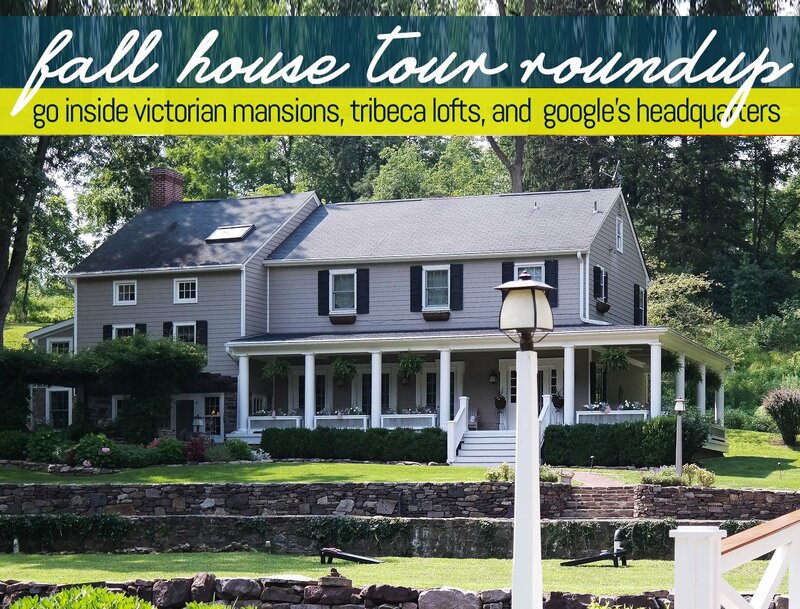 The tour supports and is organized by the Lambertville Historical Society. Advanced tickets are $20; those purchased on the day of the tour will be $25. This house tour put on by the New York Junior League “is devoted to showcasing New York City’s prestigious and luxurious residences, while highlighting architecture, art, history and the exquisite style of interior design.” Stops include both designers’ own homes, as well as those of their clients. In addition to the tour itself, a ticket grants you admission to a complimentary lunch, a silent auction, and a post-tour cocktail reception. Ticket information should be posted soon, but last year’s prices were $100 in advance and $125 at the door. Know of another nearby tour taking place this fall? Share it with us in the comments!